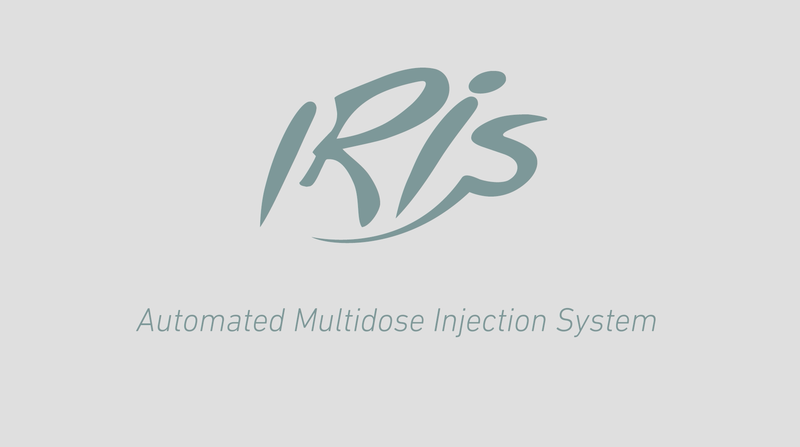 IRIS is a radiopharmaceutical injector that performs calibrated injections to patients, starting from a multi-dose solution of FDG or other radiopharmaceuticals. 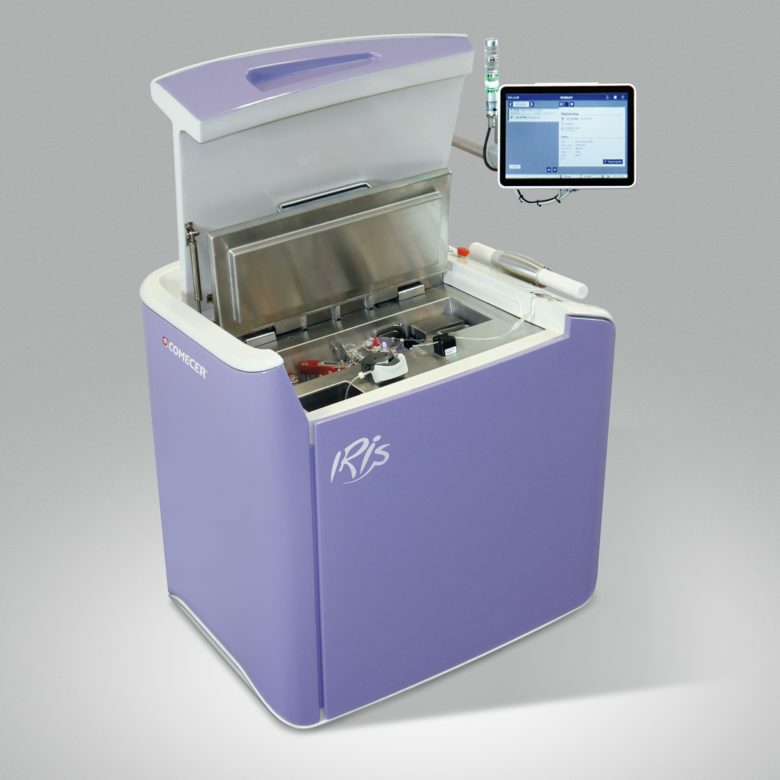 The IRIS radiopharmaceutical injector is compact and easy to handle thanks to its innovative design and autonomous battery power. Operating autonomy guaranteed for 8 hours. 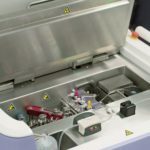 The radioactive product is administered by a sterile/disposable kit; after each injection to the patient, only the end part of the kit must be replaced. 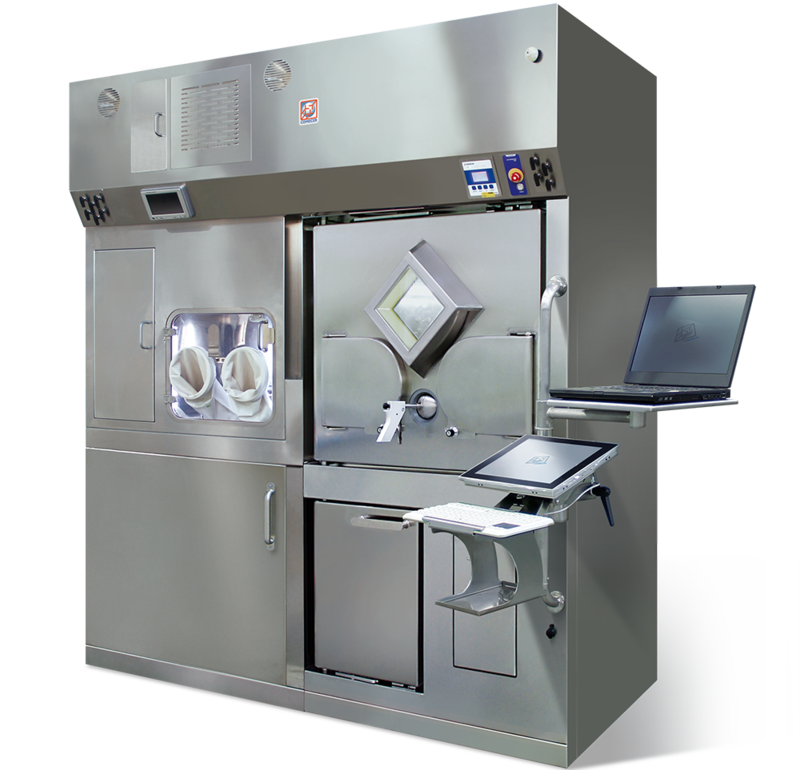 The activity of the entire radiopharmaceutical is measured by an ionization chamber integrated into the fractioning system. The multi-dose mother vial is directly loaded into the machine with its own shipping container. 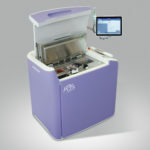 IRIS is designed for use with most commercially available containers. The maximum activity of the multi-dose mother vial is 30 GBq (F18 or equivalent). 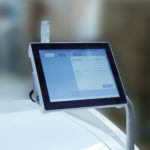 IRIS can be connected via Wi-Fi to the Hospital network to acquire patient data. 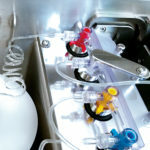 After each injection, a report on the individual infusions can be printed. 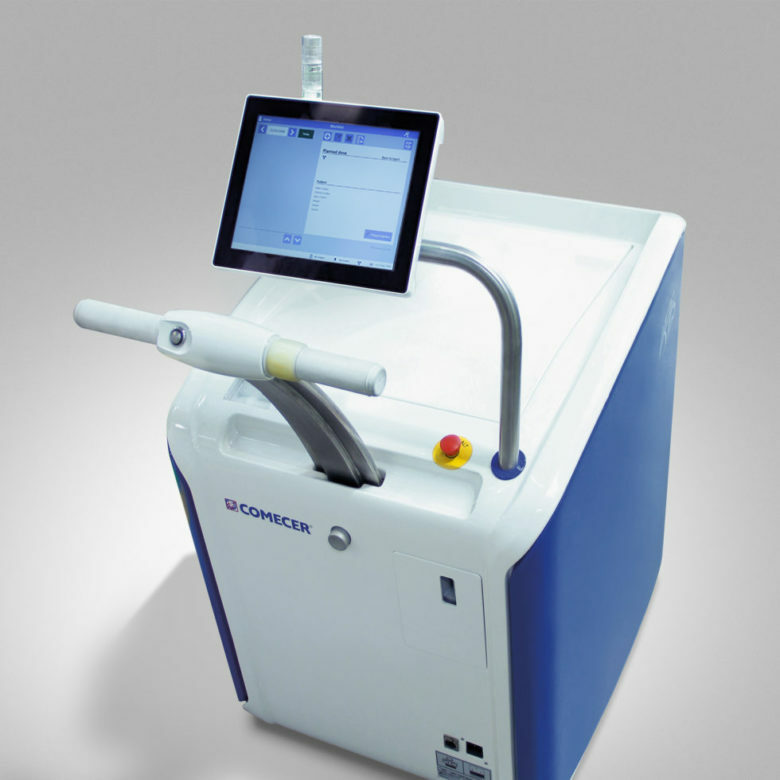 IRIS is a class IIB, CE marked, medical device. 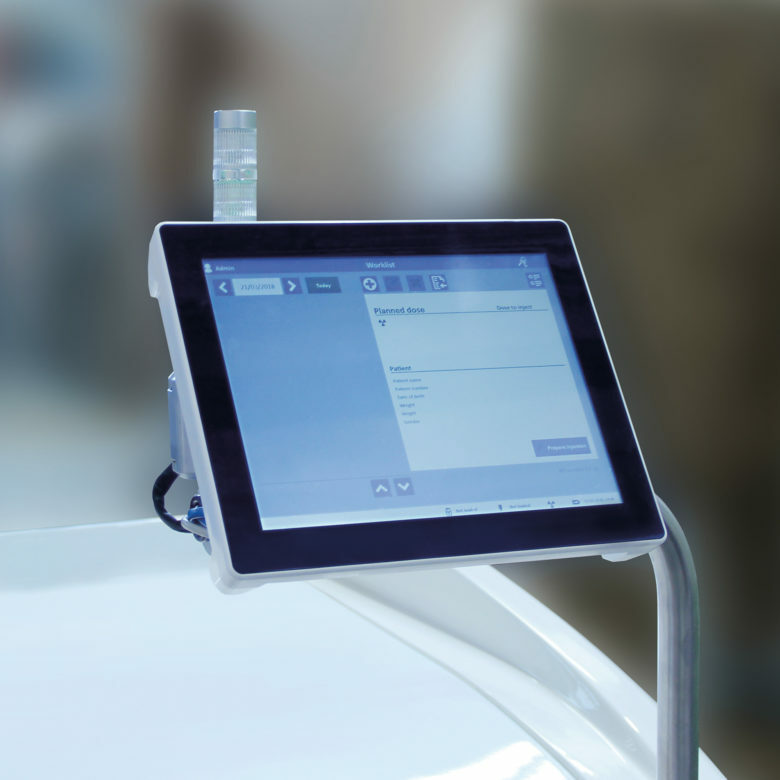 Modern technology has made it possible to achieve a very easy-to-handle machine, suited to all movement needs within hospital departments and wards. 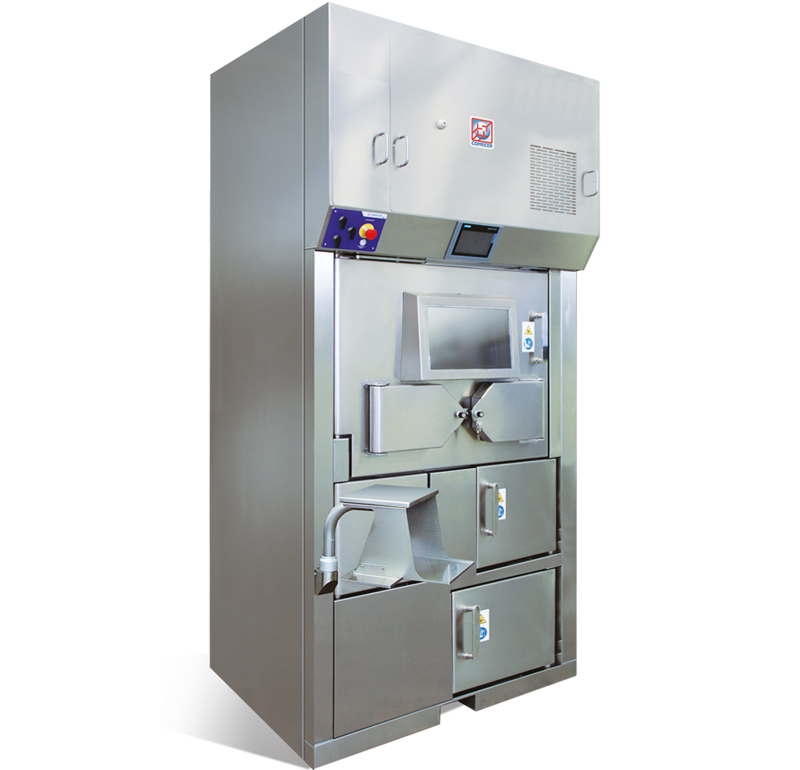 The core of IRIS has a solid steel frame and is equipped with a servomotor that assists the operator in handling the device. 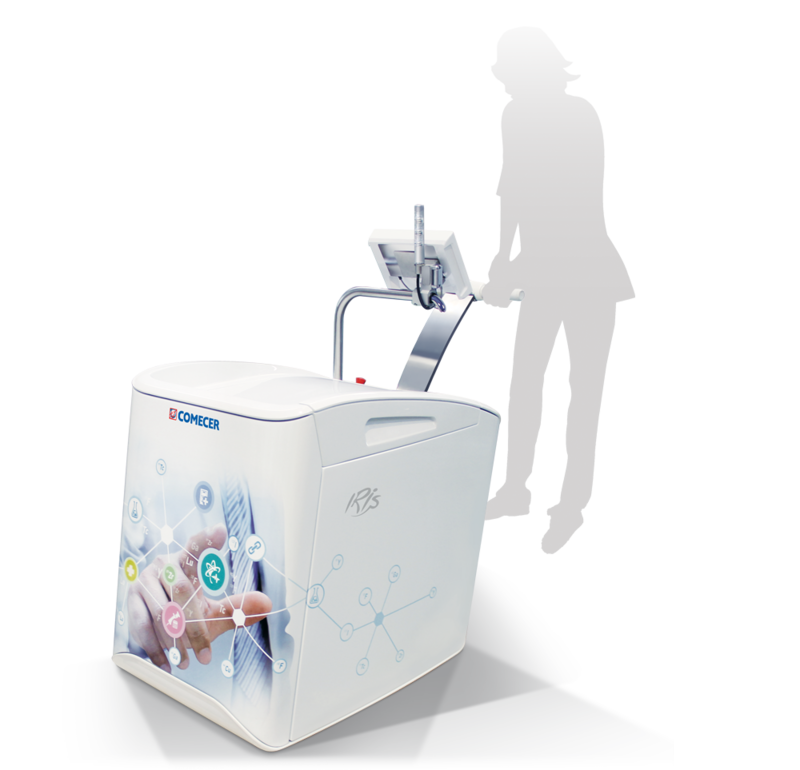 The device’s control system keeps track of the complete status of the device, battery level, movement brake, treatment, measurements, sensors and actuators. When the battery runs low, the system informs the operator promptly. When the battery is fully charged, the system is able to operate for a full working day without the need for recharge. IRIS’s various outer housing parts are of extremely durable and easy to clean polypropylene. Its sturdy construction means the device is not damaged during movements. Comecer attributes great importance to design intended as research of ergonomic functionality, organised ease of use and lightness of movement. Added to this is chromatic research, which, in hospitals, contributes to making the operator’s job more serene and pleasant, also and especially in the doctor-patient relationship. The wide range of subtle outer colors, together with its understated design fulfils this aim, by making IRIS even more attractive. The colored section of the outer housing can be changed and replaced with the utmost ease to suit the operative environment. The IBC Nuclear Medicine software is a complete client/server system for nuclear medicine departments.